Excellent, highly recommended, great breakfast. This was my most favorite B&B on the Ring of Kerry! The owners are very gracious and made me feel most welcome.The house is quite homey and immaculately kept. My room had a glorious bed, plenty of light, and lots of storage space. It was the best night's sleep I had while away from home. I couldn't have asked for better care. Do yourself a favor if you're anywhere near Sneem; book a day or three at Coomassig View B&B! 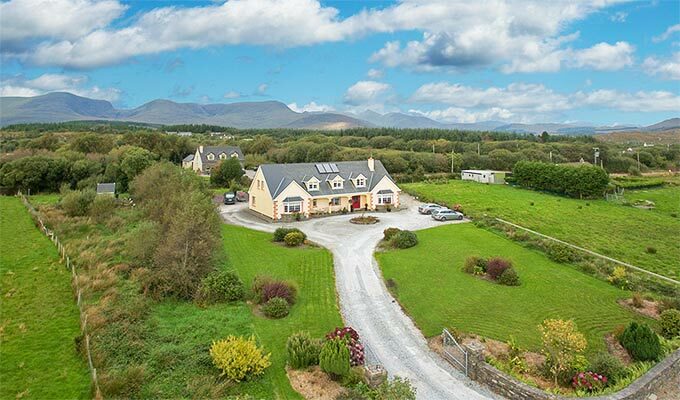 This beautiful home is just minutes away from the center of Sneem, a beautiful little town on the ring of Kerry periphery. Maureen and her family were beyond welcoming. They went above and beyond making you feel right at home in one of the more comfortable B&B's we've ever stayed at. We look forward to a return visit and highly recommend Coomassig View! Sehr schönes B&B mit sehr freundlichen und hilfsbereiten Gastgebern, insbesondere für Kerryway-Wanderer. Maureen gave us a really nice welcome, she helped us with everything and was very nice, our room was bis and clean and the breakfast was really good! Maureen gives a wonderful welcome that immediately makes you feel happy. The food was fantastic, the service perfect and the rooms immaculate. The location was stunning and I couldn't have asked for more..I felt like I was leaving a friend...and must go back some day. Joe worked hard but still found time to wave and say godbye...what a lovly couple....thanks a million for helping me realise my dream...i'm not easily impressed but this surpassed my dream.